Old Man Winter has finally arrived at your Canvas Valley Forge apartment! Now that the holiday fun has died down and the new year is underway, the cold weather may have you feeling less than cheerful. 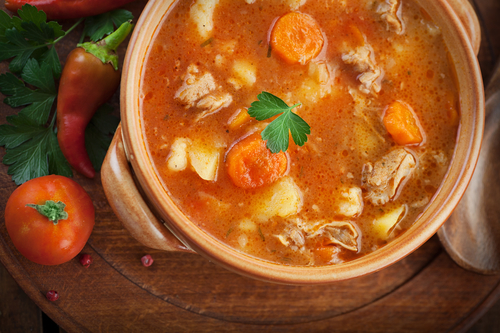 One of the best antidotes to that winter gloom is a tasty treat; just like your mom’s chicken noodle soup or your favorite chili recipe have always been your go-to on chilly, snowy days, classic comfort foods especially hit the spot when the weather turns cold! Lucky for you, there are a number of restaurants near your Canvas Valley Forge apartment specializing in comfort food—so you can get the warm and cozy feeling of a homecooked meal without having to ever turn on the stove! One of the local favorites is Black Powder Tavern, an establishment with deep historic roots, making it a perfect fit for our neck of the woods! The building has served as a tavern since 1746. With Valley Forge playing such a pivotal role in the Revolutionary War, the tavern also served as a rendezvous point for figures like George Washington and Marquis de Lafayette, as well as housed black powder munitions—inspiring its current name. Though the tavern has seen many upgrades and updates since its Revolutionary times, it still is a friendly and cozy gathering space—and one that is well-practiced in serving comfort foods (and drinks!). Black Powder Tavern offers small plates for starters and sharing as well as a robust selection of handmade soups and salads. Dive into entrees like beer-battered fish and chips or Irish bangers for a true colonial feel, or go modern American with a Reuben or short rib grilled cheese. The tavern is known for its craft beers, with a total of 24 on tap, many of which pay tribute to its roots, such as Jefferson’s Golden Ale. The beer menu represents selections from around the world but focuses on locally made brews. It also boasts hundreds of wines, spirits and creative cocktails that will be sure to warm you up on a chilly winter day. With a trip to Black Powder Tavern, you can bring the history of Valley Forge to life!